I am living life right now in full-blown Christmas mode. I've spent most of my adult life developing a Christmas playlist that isn’t terrible (Allen would argue with that), and it's playing on a loop. 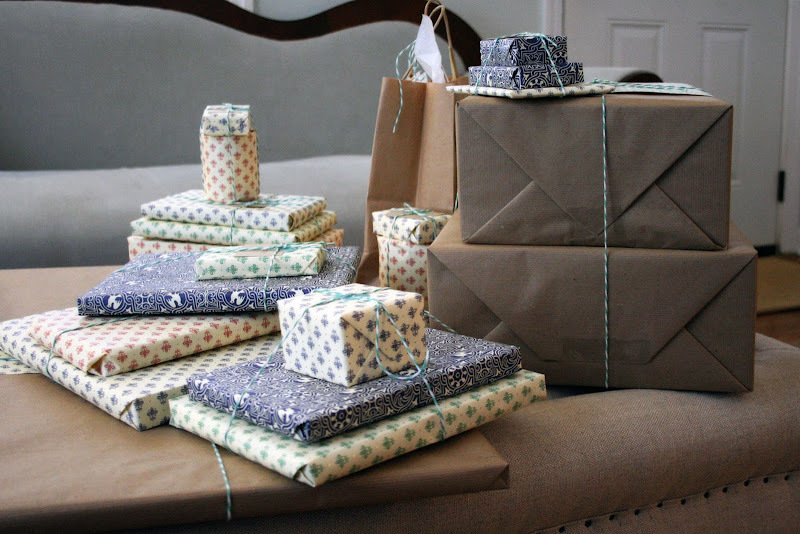 My Christmas presents are wrapped – not because I’m so together, but because few things fill me with glee like a bunch of wrapped packages stacked up in our living room. The only ones left to deal with are those presents that have yet to be made. 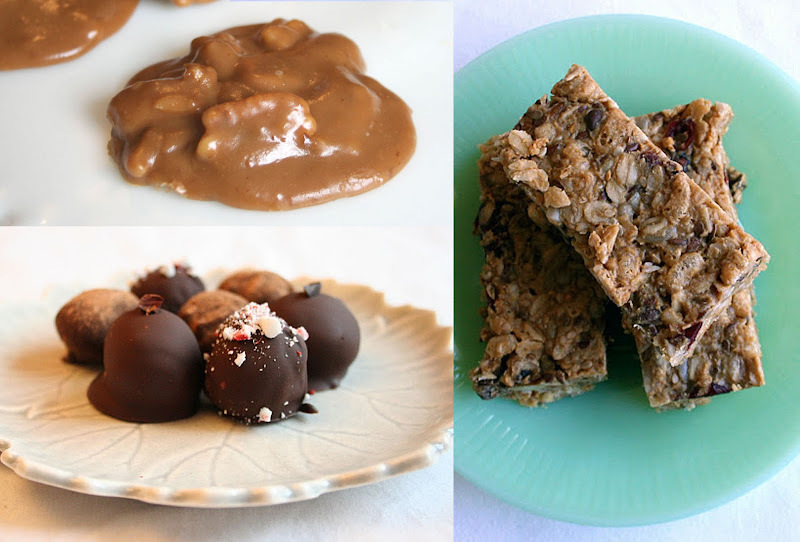 Every year, Allen and I make a bunch of edible gifts – pralines, granola bars, four kinds of truffles, and sometimes peanut brittle or marshmallows. The truffles are the most well-loved among their recipients, and the most time-consuming. Every year, I naively look forward to the magical night, a week or so before Christmas, when Allen and I will get home from work, prepare our mise en place, wash our hands, and calmly execute dozens of perfectly spherical, glossy confections. And every year those candies deliver us to the brink of sanity and coat two rooms of our house in a fine layer of Dutch-process cocoa. But year after year, we soldier on. There is another, compound reason, for getting all of my Christmas shopping done early. I love buying and making gifts for the people I love, and I’m happy to give my energy to it. But I am able to enjoy it in November only because it doesn’t yet weigh on me; all my happy little homemade projects are unrushed, untarnished by impending deadlines. I Christmas-shop early because I can only enjoy it that way, and because I want to devote my entire December to decorating the tree, sitting in front of a fire, and making those god-awful truffles in a haze of adrenaline and rum-apple-cider. So while I love Christmastime with all my heart, and engage in its traditions with all the serene and happy fervor of a zealot, I understand the stress, too. Christmas - and all the winter holiday - should be enjoyed, in whatever way suits you. With friends or with family, by going to parties or to Midnight Mass on Christmas Eve. By baking desserts or buying them. I'd never intentionally contribute to the stress and the pressure that’s already laid on thick in this season of impressive meals and family togetherness. That's all to say: I love making homemade gifts, but if your brother just wants a shirt from the Gap, and you don’t want another activity on your list, order that button-down right now and make sure to get free shipping. Allen and I used to love these pralines. Then we made about two-hundred of them to give as favors at our wedding reception. After making them for days and days, and eating many of the rejected specimens, we no longer wish to see them ever again. The problem is, there are a few people in our family - my beloved, departed, Louisiane grandfather was the most emphatic - who simply wouldn't abide a Christmas gift box without them. And so we suffer through every year, for the good of the family. Butter the sides of a large saucepan. Place the sugar, salt, corn syrup, evaporated milk, and butter in the saucepan. Over medium heat, stir mixture constantly with a wooden spoon until sugars have dissolved and mixture comes to a boil. Continue to cook to soft ball stage, about 236° on a candy thermometer. Add the vanilla and nuts, and beat with a spoon for about 2 to 5 minutes or until the candy is slightly thick and begins to lose its gloss and become opaque. Working quickly, use a 2” ice cream scoop to drop candy onto waxed paper. If the candy begins to get stiff, add a few drops of water and place back on heat for a few seconds. I'd like your home-made Christmas time tonic, thanks. Also, I hope to post soon about making cherry cordials (candy, not drink) and hazelnut, or praliné, truffles.